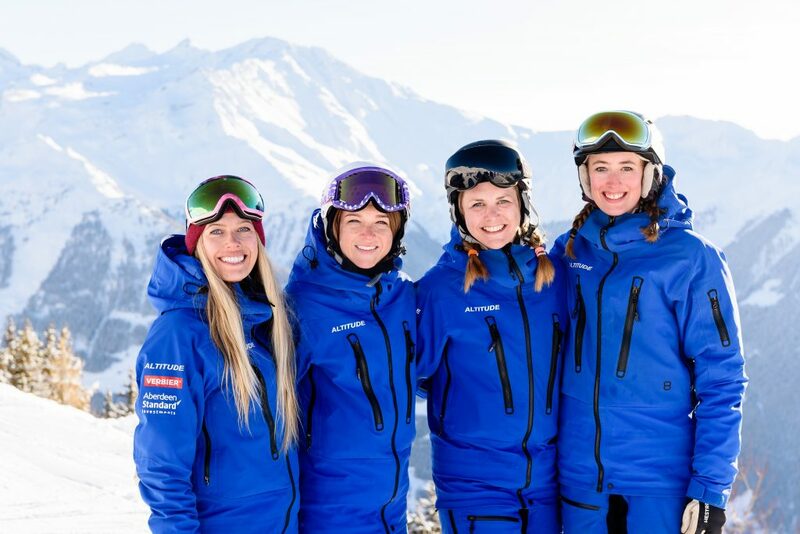 How far can you ski in a day? 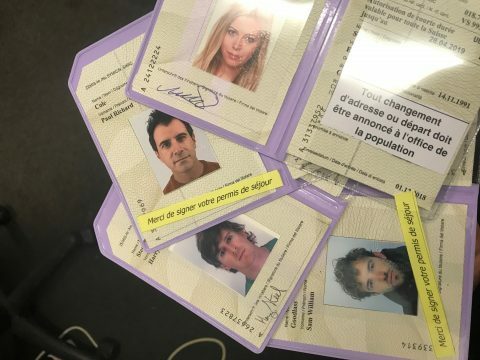 In the Four Vallées, the answer is pretty far! In fact, for advanced skiers it’s possible to get from Verbier to the bottom of both Nendaz and Thyon comfortably in a day. Verbier is an incredible ski area. In my first season I found there was so much to ski here alone that it was quite a few weeks before I went any further than Siviez. I now however spend most of my days off outside Verbier’s main resort area skiing in all four corners of the Four Vallées. 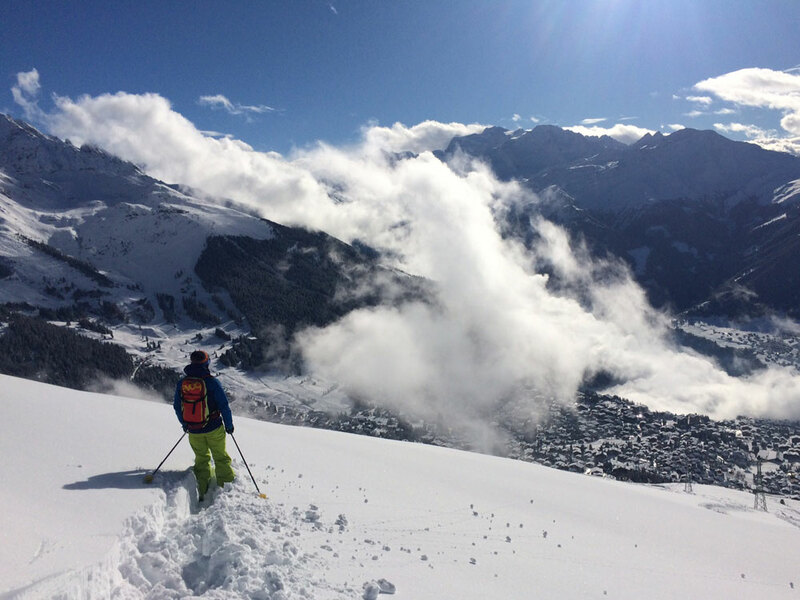 For those skiers returning to Verbier or for the more adventurous, the areas outside of the main resort offer a chance to explore different scenery, conditions and terrain and an opportunity to put your skills and endurance to the test. When heading out of Verbier it’s best to have a bit of a plan in place. For example, if you’re going to Thyon or Nendaz leaving early helps make the most of the day. Make sure that every member of your group is able to handle the journey that you are going to do; consider whether novice skiers and children will have the endurance and skill to keep up with the pace. Don’t forget to check/keep an eye on the lift times. 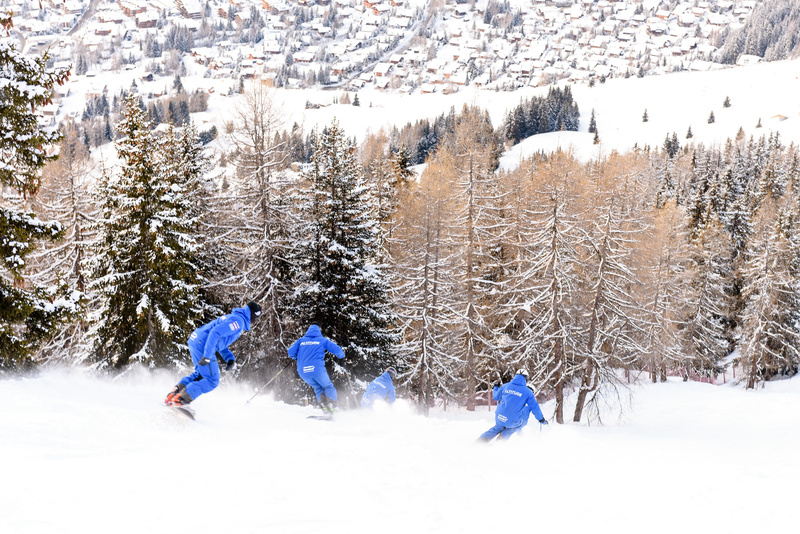 Usually the lifts furthest away from resort centres will start closing first so check your connecting lifts. Some far away lifts give a recommended time that skiers need to start returning to Verbier, but don’t rely on it. What do the other resort areas offer? For those with novice skiers or children in their group, Savoleyres offers great intermediate skiing with plenty of blues and reds and having both north and south facing slopes means that half of the slopes get early sun and are warmer to ski on if you’re cold, while the others on the dark side of the mountain hold the snow condition better throughout the day. Due to being slightly out of the main resort it is also generally less busy. The journey towards either Nendaz or Thyon will take you down Tortin whether you choose to go down the extremely difficult Chassoure run or downloading on the cable car. The ski from Tortin to Siviez is a really nice long blue run, which is great for novices or children, and there is also a luge path if you fancy a change of activity. From Siviez you can then either take the 4-man lift to Combatseline or take the bubble lift to the top of Plan-du-Fou. The ski into Nendaz is quite challenging, from the top of Plan-du-Fou you have the choice of another demanding itinerary or the bubble down, from there is a nice black run down to a 3-man lift that will take you to the top of Tracouet. Once here the runs are long blues and reds, really pleasant skiing through the trees. 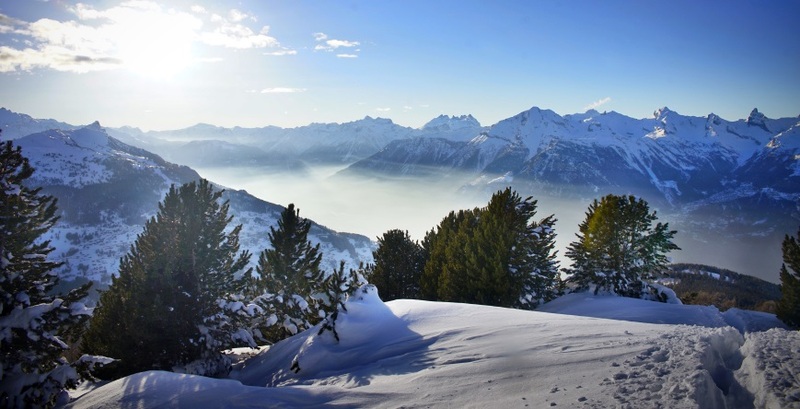 I particularly like Nendaz for the scenery and the really nice views of Thyon and the valley. 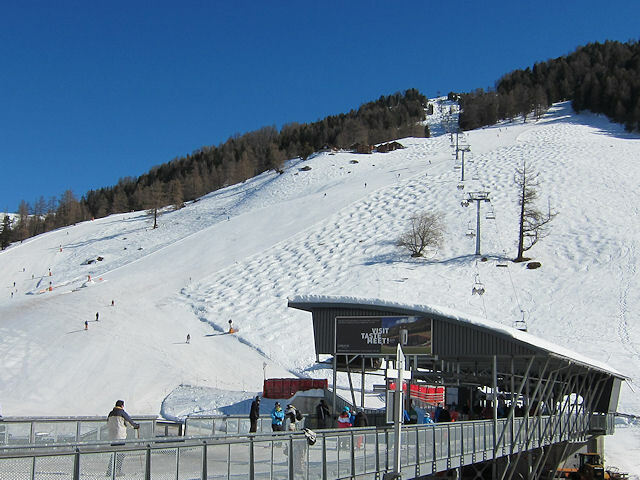 The ski into Thyon should only be attempted by skiers who are competent at using t-bars or button lifts, as a quick glance at the piste map will show you that there are many such lifts in Thyon. 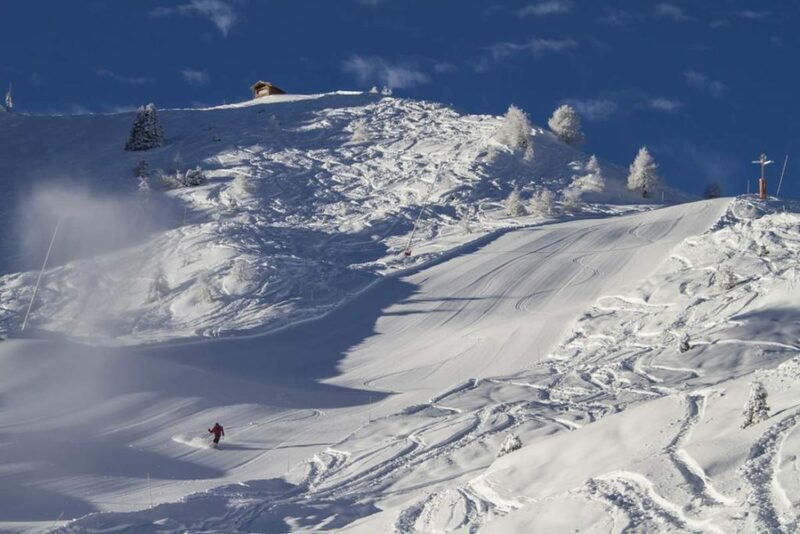 If you are brave enough to handle the t-bars you are rewarded with some excellent long, wide runs; the Piste de l’Ours is particularly famous for being an amazing tree run and when conditions are good it’s one of the best runs in Switzerland. Bruson is my favourite part of the Four Vallées. Many people are put off Bruson by its one 3-man lift (which fair warning is a little slow) and its 2 drag lifts, but this also means that it is almost always free of people when the rest of Verbier is jam-packed. 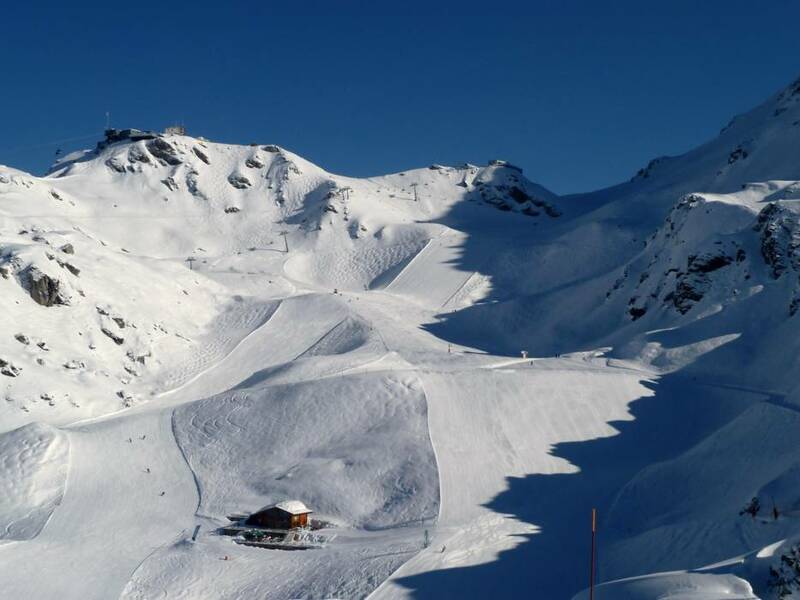 The black run in the centre is wide and about the steepest in Verbier, and this coupled with the challenging but beautiful Les Otanes itinerary makes it a great escape for advanced skiers.